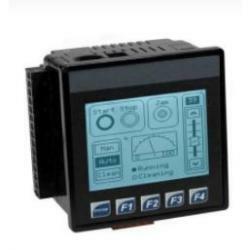 Description MetalSmartStack I/O can only be stacked directly on the back of products supporting metal encased I/O models, such as Classic OCS, RCS, RX ruggedized controller, and Metal FOX. Products are sorted by commonality. 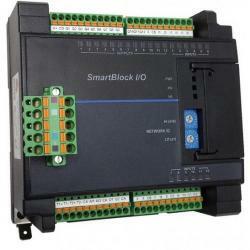 All SmartStack I/O modules include spring-clamp style removable terminals except where noted. Description Switching supply that outputs 1.5A at 24 VDC. Mounts on standard DIN-rail. Designed for the XL Family controllers. Description Logic engine features 1MB of application memory with a 0.013mS/K logic scan. Online Programming Mode (making logic changes on the fly without going thru stop mode) is supported. 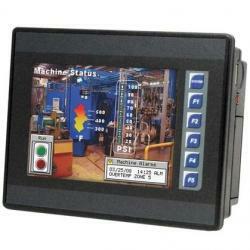 Operator Interface features include a 320&times240 LCD TFT color graphics display with a high resolution resistive touchscreen, 4 function keys and a system key A USB 2.0 On-the-Go port (mini-B 5pin) is available for programming. A USB 2.0 Host port (A) is available for exchanging files with USB FLASH drives. One (1) RS-232 and one (1) 485 port support RTU/Modbus Master/Slave, ASCII In/Out, and PLC/Drive downloadable protocols. 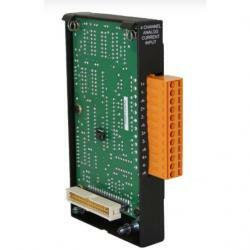 Networking features include a built-in 10/100 Ethernet port, and an integrated CsCAN port. All units feature a microSD slot, supporting at least 32GB. COM option expansion modules are supported, including Profibus DP, 2ch/4ch Analog Output, Radio Modem, Telephone Modem, and GPRS Cellular Modem. 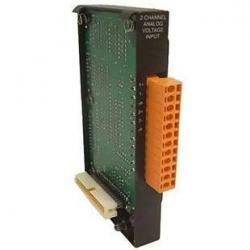 The COM options are independent of the serial ports. 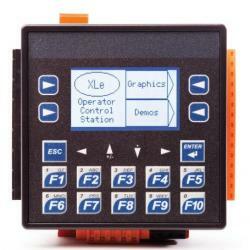 EXL6 Series OCS with DC/Relay I/O. 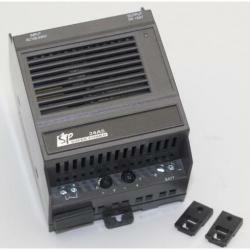 Twelve (12) Digital Inputs compatible with 12V/24VDC &ndash four (4) inputs can be used for two 500kHz High Speed Counters. Six (6) Relay Outputs &ndash up to 5A continuous current. Four (4) 12-bit Analog Inputs selectable between 0-10V and 4-20mA. Description Logic engine features 1MB of application memory with a 0.013mS/K logic scan. Online Programming Mode (making logic changes on the fly without going thru stop mode) is supported. 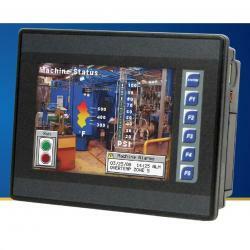 Operator Interface features include 640&times480 LCD TFT color graphics display with a high resolution resistive touchscreen 4 function keys and a system key USB 2.0 On-the-Go port (mini-B 5pin) is available for programming USB 2.0 Host port (A) is available for exchanging files with USB FLASH drives Two (2) RS-232 and one (1) RS-485 port support RTU/Modbus Master/Slave, ASCII In/Out, and PLC/Drive downloadable protocols Networking features include Built-in 10/100 Ethernet port Integrated CsCAN port All units feature a microSD slot, supporting at least 32GB. 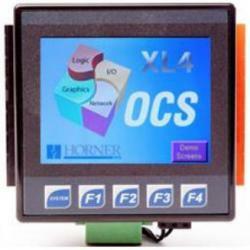 COM option expansion modules are supported, including Profibus DP, 2ch/4ch Analog Output, Radio Modem, Telephone Modem, and GPRS Cellular Modem. 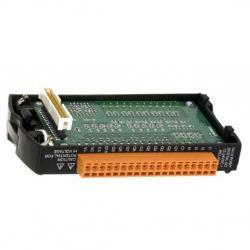 The COM options are independent of the serial ports.